Who does not have mobile telephone nowadays? From International Herald Tribune. 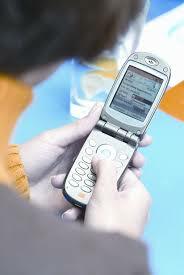 Inside a report from Gartner it is assured that during 2005 800 million mobile telephones will get to be sold. As emergent markets they highlight India and China. As dominate companies of the market Nokia and Motorola, following very of near for Samsung. As a result of having read an article in Baquía about Digital Darwinism minted by Evan Schwartz , I realize that the evolutionary process of the society obliges us to adapting to the new characteristics of our environment. CiberSociety, obliges us as citizens, as administration, as government to carry out a series of changes to survive. The Digital Divide transfers a situation of disadvantage that has always existed to this new society. The Digerati as erudite class are rising up, the cities also change and they configure itself according to the needs for its citizens, rising the concept of Ubiquitous City. And the Public Administration does time that has realized in the group this change for what all want to be of the e-Administration, concept that does not do only references to the application of the ICT, but to one all that it comprises organizational changes and cultural. 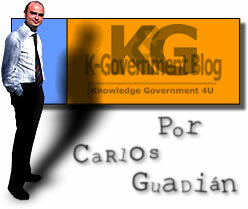 e-Government is behaviour, to be, is order to adapt to the Information Society..